Claim: Air Pollution, Not Greenhouse Gases, Is the Main Cause of Global Warming | Watts Up With That? These proxies for global particulate pollution – increasing global coal and crude oil production, as well as aviation fuel consumption – rise in strikingly parallel fashion to the rise in global temperature as shown in the accompanying figure. “Currently, air pollution is the leading environmental cause of disease and death worldwide, and…is increasing at an alarming rate,” according to Herndon, who cites a 2016 World Health Organization study. Emplacing airborne aerosols in the atmosphere to influence the weather and climate, or to enhance military communication systems, has huge adverse effects on the economy – notably on health, insurance, solar energy, energy consumption, agriculture, and forestry. The article contains numerous scientific references for the above statements. who are aware of their natural surroundings, and millions of people have expressed concern [13,14]. October 19, 2018 in Air pollution. Energy Poverty Kills More People Than Coal and Cecil B. DeMille… Combined! More pollution causes warming. Reduced pollution causes warming. CO2 causes warming. Methane causes warming. It was hotter in the 30’s. It was cooler in the 30’s. Ocean acidification is destroying shelled organisms. Ocean acidification is non-existent or immeasureable. Past temperatures are unknown. Past temperatures must be “adjusted” to make them known. Global Warming will reduce crop production. Higher CO2 will increase crop production. Greenland is losing ice. Greenland is gaining ice. The Antarctic is losing ice. The Antarctic is gaining ice. The sky is falling!!! The sky is not falling. Global Warming will impoverish us all. We are all getting more wealthy. Yep. I thought the alarmists were using aerosols to explain why warming was proceeding more slowly than predicted. I immediately thought of all the chemtrail conspiracy idiots I have tried to correct over the years. If he wants to assert that the aerosol combustion by-products are causing an effect, I am all for looking into it. If he wants to imply some conspiracy is “covertly sprayed” aerosol pollutants he goes immediately in my kook bin. See my note about it. Contrails not chemtrails are real and there will be residual pollution from civil and military aviation in the lower stratosphere. The 0.5 deg C step cooling of TLS which occurred after both El Chichon and Mt Pinatubo, were largely due to sulphate aerosols destroying ozone and leaving the stratosphere more transparent to solar UV. These events may also have flushed out some of the residual pollution that had built up since the 60s. 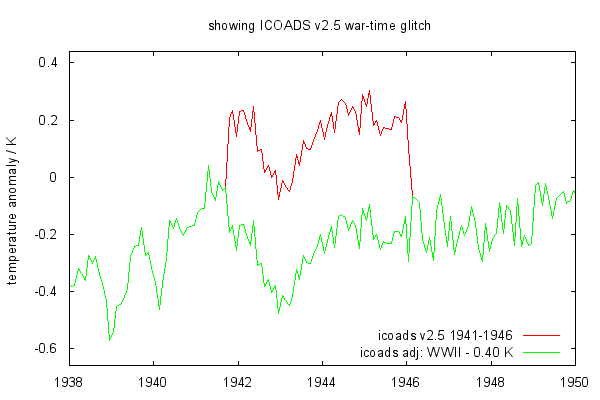 The unadjusted ICOADS v 2.5 SST data of the 1930s-40s shows the “bump. It was NOT a bump like their proxies, it was step change after Pearl Harbor and down step due to the demobilisation of US Navy in 1946. This is not new and not unknown. 1. Almost all ship movements across the North Pacific stopped. 2. On the other hand traffic to SW Pacific/Australia increased abruptly. 3. Within a few months most ships moved in convoys, which means that the water measured had been on average churned up by two other ships (five-ship columns was standard). 4. Military vessels on average steamed much faster which probably affected inlet temperatures (full speed is almost never used in peacetime). I would really like to see the navy’s adjustments that were made, I think they’re still classified ? I saw your update after I submitted, so you must have come to the conclusion about the same time I did. Seems to be just another anti coal rant. If the CO2 from burning coal scare doesn’t work, let’s try this approach. I will leave it to others more knowledgeable to discuss whether particles in the atmosphere cause cooling or warming. Much like everything else in climate science, we don’t know what we don’t know. The permutations within our climate are so many, varied, and randomly chaotic that there’s no supercomputer capable of predicting tomorrows weather any more reliably than a bit of seaweed. It seem to me a new way to “catch the audience”. Seeing that CO2 is loosing consensus then use one that has it: Pollution! CO2 is ~400 ppm right now….did the IPCC predict what level it would be to get their temp increase? Actually 1930s was a very warm period – not 1940s, because it was already the period, when the global cooling started till 1975. This theory is a nice try but the facts are not on its side. Maybe the heat from pollution time travels back to cause warming. You know, just like CO2! LMAO. If I remember the studies on the health effects of particulate pollution, most of the effect was related to indoor burning of biomass for cooking and/or heating, not coal fired power plants. There was also the curious use of aerosols to explain away the 1945-75 cooling period despite rising CO2. Bringing in chemtrails makes this study even more tendentious. Aerosols cause cooling – wait warming – well something, but it’s bad and it’s all our fault. Now just surrender more of your money, your freedom, and pretty much your way of life, and we’ll make sure you feel good about yourself for “doing your part” while you starve and/or freeze to death in the dark. So that, you know, WE, the chosen ones, can enjoy the “unspoiled Earth” as it was intended. Got it? I remember the so called smog (smoke + fog) of the Fifties and the black grime that coated all the buildings in cities like Glasgow and London. In a bad smog, you could only see a couple of feet in front of you and you could taste the particles of soot. They were also called pea-soupers. I think they were common in the 19th Century too. It was quite dark in the smog because sunlight had difficulty getting through. It is very likely that temperatures began to rise as a consequence of clean air legislation in the Sixties. As everyone here knows, aerosols scatter sunlight, leading to less solar warming, so I have severe doubts about aerosols enhancing warming. Agreed, except it was (beginning in) the late 1960s and (mostly) the 1970s and 1980s, when clean air legislation took effect. There really wasn’t much done about air pollution in the 1960s. But in the 1970s, we were warned frequently and vehemently that science told us that unless air pollution was quickly curbed we were likely to enter a new ice age, with catastrophic consequences for humanity. That’s because the measurements were showing cooling, and the dominant scientific opinion of the day was that the Earth was at risk of reglaciation (loosely speaking, “a new ice age”), rather than global warming. 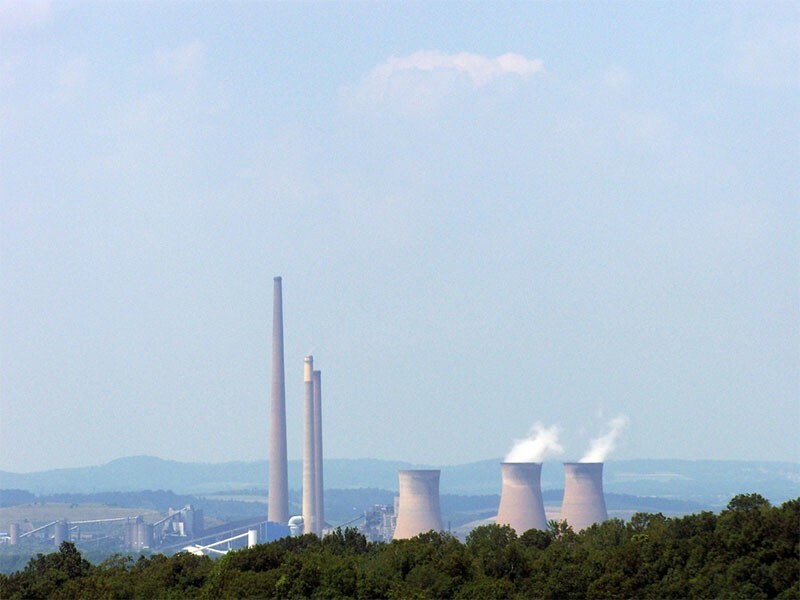 Prior to the ice age and acid rain scares of the 1970s and 1980s, the standard remedy for protecting people from ground level air pollution caused by coal-fired electrical power plants, steel mills, etc. was simply to build very tall smokestacks (e.g. Homer City, PA, ≈¼ mile tall, built in 1977). That strategy was effective for reducing ground-level air pollution, but it had side-effects, because it put particulates/aerosols, which cause cooling, relatively high in the atmosphere. Now we have scrubbers removing the pollutants at the stacks, and the climate is a bit warmer, as predicted. But determining the extent to which that correlation was the result of causation is problematic. Before I even got to the update note the “covert spraying of aerosolized coal ash” sounded like chemtrail nonsense. I’m glad you included that note so I don’t have to hunt down this wackiness. I stopped reading after that. Total junk. Some kind of propaganda misinformation campaign in that one. But to their credit (whoever “they” are) as to understanding human’s gullibility, the same people willing to buy that “covertly jet sprayed fly ash” claim will also uncritically accept that a slightly warmer world will crush global barley harvests from a bunch of rent-seeking plant scientists. Wasn’t there a whopper of an El Nino around that time? He’s been saying it for a while by the looks but what sort of scale was it or just a flash in the pan brain fart that never really got off the ground. I could imagine all sorts of weird trials with cloud seeding perhaps and their subsequent rejection but nothing about any serious ongoing fly ash seeding to help change the climate. Best guess is an elaborate hoax or some strange political slam at the US from foreign authors out of Italy, Tanzania, China, Togo and India. Look at the ice cores. When co2 is low temperatures start to rise. When co2 is high temperatures start to fall. From this the only conclusion possible is that as co2 rises we should prepare for temperatures to fall. Um, it might be warming since the 70s, but generally speaking, the 1930s and 1940s were warmer than today. If not for perpetual adjustments to the data, this would be widely known. Never mind the chemtrails stuff, but that particulate stuff causes Global Warming is new and refreshing. 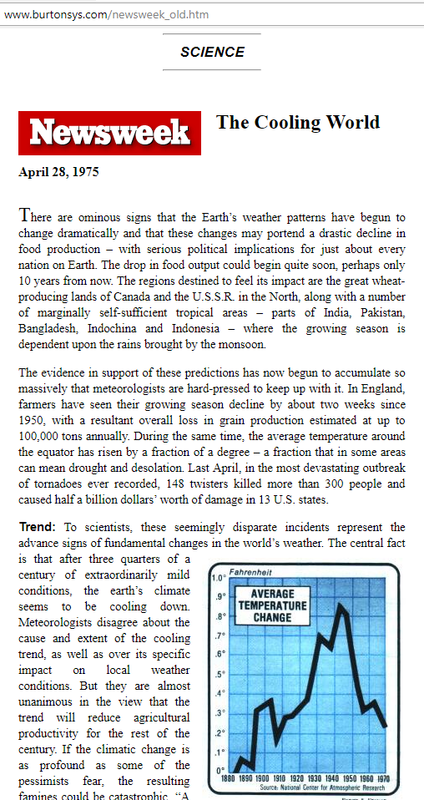 Everybody admit it, it makes at least as much sense as anything the IPCC has put out. After all, we need some new theories. The old ones are fun, but they have been worked to death. Finally, we have a new theory. I was running out of things to do on a rainy Sunday afternoon. And this is more worthy than all these endless posts about some alarmist garbage from the Guardian. You know what 9-11 truthers, Moon landing deniers and vaxxers have in common? The thesis in each group don’t have anything in common. They don’t agree. (And they often deny that they disagree.) Many vaxxers and Moon landing deniers don’t have anything in common with themselves. They never agree on anything factual and precise (the gov lied about the WTC (or about Apollo) isn’t precise; vaccines don’t cause more problem than they solve isn’t precise), even alone. I can’t tell the mind of a vaxxer from the mind of a truther. How about a science fiction writer? So, someone who is accurately able to read medical studies showing the effectiveness of vaccisnes is indistinguishable from some who believes the government brought down the twin towers. Your list is a little one-sided. Here are three glaring omissions that are well documented now. 1. How was the massacre of the Polish Officer Corps at Katyn Wood in 1940 ascribed to the German Army for more than half a century? 2. How was the news of the nuclear waste explosion at Kyshtym in 1957 suppressed for almost as long? 3. How was the Chinese report of only 10,000 dead in the Tangshan earthquate of 1976 successfully fobbed off on the anglophone public for decades when even the Chinese now admit that at least 200,000 died? All of these monster fake news items could never have been successfully propagated by government alone. They required the collusion of print and broadcast media on a massive scale. Part of the WWJI bump in global temperature datasets is from changes in ship biases due to change in kinds and nationalities of ships traveling as the war approached, during the war and after it. Notably, HadSST3 and HadCRUT4 have less of a WWII bump, ERSST4 and GISS have more of one. I think this is from HadSST3 trying for the truth, and ERSST4 trying to show as much warming as possible and warming as steady as possible after 1950. Comments are closed on the referenced chemtrails thread because almost all responses were idiotic and it wore him out. Plus he has REAL uses for his time. The article said the author had surveyed 77 atmospheric experts and plane engineers, and 76 had never seen evidence of a secret government conspiracy to spray anything. They said there was more air traffic, which caused planes to fly higher and enter a different layer of the atmosphere. It makes sense to me that particles might spread more in a different and higher layer of air. I loved to watch airplanes in the 20th century because the contrails were beautiful. Around the turn of the millennium, I saw a contrail that was several times longer and fatter than I had ever seen before. What was THAT? I was a bit worried and I hate the fat ones. I have spent some time on chemtrail sites and seen all the silly theories and children with sample bottles talking about barium. Then I saw a simple straightforward explanation by airline pilots about a change in standard flight altitudes at the very time “chemtrails” (long fat contrails) first appeared. Finally! Something that made SENSE! Commenters were comparing this consensus of real experts to Cook et al. Cook et al. was a farce in which most of the original sample was excluded, and the only 97% consensus was to a very weak statement that WUWT readers and scientists would have almost as high an agreement: temperature warmed during the 20th century and mankind had something to do with that. Monckton would agree with that. This report included all the original sample, and was both more strongly worded, and very logical. I do have a quarrel with it–it was a bit too high an intellectual level. People are stupid, and it needs to be 3rd grade level. The description needs to be more vivid and easy to follow. It would also be strengthened by acknowledging the obvious visual change. If it weren’t for the ban on chemtrail debates, I would take the time to show all the errors in this piece. My measurements show there is no man made warming. Everything is natural. Live with it. If you like the “Method”, you will *love* the METHODOLOGY section. This research is just as irrelevant as CAGW. Both miss the point that climate change does not need a cause. Why does no one listen to Richard Lindzen? Many things will show a correlation with other things of interest. Consider air and water filters. Sometime in the last century, filters of many types were introduced. 75 years ago we used “cheesecloth” in the kitchen and Diatomaceous earth at swimming pools. A great number of new & improved filters have become common. If one documents the contribution of the filter-industries to the economy, one might get the impression that there should be less air and water pollution than 75 years ago. I was born into a household that burned coal in a metal stove in the middle of the house. Gas replaced the coal, the coal room was cleared and cleaned, and my sister and cousins used it as a playroom. We are all still alive. Particulate carbon has amazing properties in changing the climate. In 1971, Rasool was getting headlines by pitching the story that carbon particles high in the air would screen out heat. “Cooling” was the tout then. I recall recentley reading that James Hansen provided the data or “model” to Rasool. Some 15 years ago on another site I had an interchange of emails with Robert Cess, a physicist who had done some work on the atmosphere of Mars. Robert also submitted research to IPCC on the warming side. I was trying to find that Hansen had originally promoted that particulate carbon contributed to cooling, then. Could not find, but Cess wrote that it was Rasool who had really pushed it. Then as global warming became the very profitable fad, Hansen himself, got on the bandwagon when it was discovered that “carbon black” would contribute to warming. Through holding the heat and in reducing snow cover’s albedo. A Wiki states that Hansen is or was: “The godfather of black carbon studies”. Coal has not always been condemned. In the early 1600s the first newspapers were called “broadsheets”. The middle classes were becoming more prosperous and could afford more comfortable homes, as well as newspapers. A newspaper published in Newcastle included an article extolling the wonders of burning coal in the household. Particularly with fireplaces in the bedrooms. Probably nonsense,but on the other hand, not even the greenest greens would want to believe it. No more air travel? The end of the world to some. Few of us could believe that coffee could possibly be bad for us . Addictions are like that. They bias our thinking. Minds only work when they’re open. Abstract: The tragic events of Sept. 11, 2001 resulted in suspension of commercial flights over North America. It has been suggested that the diurnal temperature range (DTR) increased due to an absence of airplane contrails. This study examined hourly data observed at 288 stations. The average DTR, temperature, maximum/minimum temperature and relative humidity were found for each day in 2001 and compared to the average value occurring during 1975–2005. For the coterminous U.S., the DTR averaged over the period Sept. 11–14, 2001 was about 1°C larger than that found for the 3 days prior and after the flight ban. However, the day-to-day DTR does not correlate well with the flight ban. Plots of the change in DTR throughout North America during Sept. 8–17 show changes consistent with the natural progression of weather systems. Ryan, A.C., MacKenzie, A.R., Watkins, S. and Timmis, R., 2012. World War II contrails: a case study of aviation‐induced cloudiness. International Journal of Climatology, 32(11), pp.1745-1753. ABSTRACT: Dense and persistent condensation trails or contrails were produced by daytime US Army Air Force (USAAF) bombing raids, flown from England to Europe during World War II (WW2). These raids occurred in years when civilian air travel was rare, giving a predominantly contrail-free background sky, in a period when there were more meteorological observations taken across England than at any time before or since. The aircraft involved in the raids entered formation at contrail-forming altitudes (generally over 16 000 ft, approximately 5 km) over a relatively small part of southeast England before flying on to their target. This formation strategy provides us a unique opportunity to carry out multiple observation-based comparisons of adjacent, same day, well-defined overflown and non-over-flown regions. The most frequent statements and arguments found in pseudoscience websites and forums supporting the existence of so-called aircraft chemtrails can be refuted with a scientific explanation of the processes resulting in the formation of condensation or deposition trails, known as contrails. Thus, the hypothesis that chemtrails exist is disproven by the scientific literature that shows that they are the exact same entity as contrails: They are hydrological phenomena which result from a physical process referenced in the many studies carried out since the beginning of the age of aviation, in the early twentieth century. Hence, in this paper we conclude that pseudoscience’s chemtrails are nothing more than the contrails described by science. Keywords: chemtrails, contrails, pseudoscience, science, high-level clouds. The UAH global anomaly 12/78 through 8/18, 40 years, shows Δ1.1 C, 5/99 thru 4/15 essentially flat. More bickering over data minutia and ignoring the root cause. World wide distribution of the following and still no takers. Surface BB upwelling – yes or no? Air pollution is localized and short lived. Wind-greenbelts have a major impact on removing air pollution. It has no direct impact on global warming but create the scene for urban-heat-island effect if temperature inversion is formed. Air pollution was supposed to be the cause of cooling. Sorry, moderator.. posted on the wrong article.. It is all make believe, i.e. nonsense dressed up with fossil fuel and mining industry sourced lipstick and makeup. There is zero proof, offered. Every one of their claims is based on eyeballing a modified graph with a temperature graph, then assigning causation where association is not demonstrated. Article propaganda promotes false associations to correlations and then into causation. I’ll lay odds that the populations of lemmings and chickens would be just as alarming in their made up graph. Similar appearing to escalate upward graph lines can be collected from a multitude of sources; e.g. human dwellings, plastic straws or pigeons. Oh geez! It really is humans! DOH! White tail deer are causing global warming. Since the late 1940s. The population of White Tail deer have increased dramatically. IN Pennsylvania in the late 1940s these deer were rarely observed, likely because rural poverty stricken people dined upon them during the depression. Every year since then shows double digit increases in the White Tailed Deer population to the point where the population often exceeds 50 deer per rural acre. This upward graphical curve supports the hypothesis that increases in the population of White Tailed Deer cause global warming. Isn’t this as scientific as Air Pollution, Not Greenhouse Gases, Is the Main Cause of Global Warming? You will not have to watch the full length video (about 3hrs) to understand to subject. It is just a weather balloon going into the stratosphere, nothing else, no agenda. You might notice however a distinct haze layer somewhere up there at the beginning. The balloon approaches this layer at about the 1hr mark. One might assume it is exactly the altitude for air travel, which gets strong support by the noise of fly-by aircraft. I think this is very impressive evidence of how strongly air travel is modifying our skies, and furthermore one just has to wonder what the impact on climate will be. The “official” position would be high altitude clouds had a warming effect, which makes the question mark even bigger. Clearly an odd job selling a belief, however much some of the statements are of interest, and may have merit. BTW, anything that causes clouds through increased nucleation creates compensating feedback warming by reduced evaporation heat transfer and cloud formation from the oceans as they cool, including the reduction in cloud albedo. 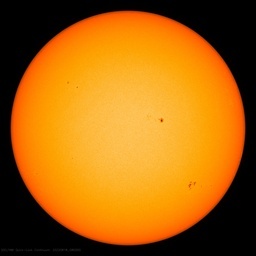 The effect is 140W/m^2 currently, which can vary to maintain the current interglacial planetary equilibrium. ANy smallchanges are easilly offset by this dominant control. Including 1.6W/M§2 of AGW, if GHE science is real. JC Maxwell didn’t think so, and debunked Kelvin/Lord Thompson’s lapse rate theory, never proven. And he was much cleverer than me. If you spill light oil on a water surface the surface will be smoothed (see Benjamin Franklin, Clapham Pond). This lowers its albedo. An oil smoothed surface will be resistant to engagement by the wind: this reduces stirring and thus nutrient flow to phytoplankton. Starved phytoplankton populations move, on average, from C3 to C4 or C4-like metabolism, both of which discriminate less against heavy isotopes of carbon, _proportionately_ pulling down more C13 which leaves a light carbon ‘signal’ in the atmosphere. A smoothed surface will resist wave breaking — personal observation suggests that whitecaps do not appear until approximately Force 4. Fewer breaking waves, less salt aerosol load, fewer clouds, more insolation, warmer oceans. A smoothed surface will evaporate less and thus cool less. Warming. Now, let’s think. Why the blip? hell was frozen over in WWII.